Our 200+ boat, rack storage boatel provides enclosed storage protected from the elements for boats to about 44’. Our 4 heavy duty forklifts will provide you with as many trips to the water or work rack as you desire. Say you want to go fishing this Saturday at 4 in the morning. Just give us a call at least one day in advance and your boat will be waiting for you first thing Saturday morning, in the water, ready to go. This gives you the best of both worlds in regards to convenience and protected storage. 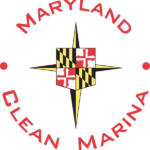 Chesapeake Yachting Center is a 325 slip full service marina on the upper Chesapeake Bay, offering enclosed dry rack storage for 200+ boats.